I’ve posted a new series of 12 videos on the True Black Moon Lilith in the houses of the natal chart. Each is 9-12 minutes long and can be accessed via my YouTube channel. Read all about your own Lilith placement with the Black Moon Lilith Natal Report. It covers your house and sign placement in detail, then Lilith’s natal aspects in your chart, and then 5 years of transits and progressions to your true black moon Lilith. The Lilith Pages, a series of pages on my site with overview info on placements, aspects, and more. Lilith: Healing the Wild book. It’s my unique, empowering and healing take on this archetype. 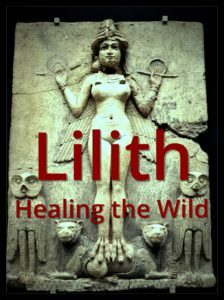 I teach that we need to stop assuming Lilith is a demon and, thereby, cease carrying forward the patriarchal demonization of the natural, wild feminine within all of us and in the world. The Lilith Intensive 7-hour MP3 set goes deeper into the themes covered in the book and how they manifest in real life including regarding nutrition, healthcare, sexuality, and more.